Brendan Lillis has already spent 17 years in prison as a result of his relatively minor role in the conflict in the North of Ireland. He is now been confined to a bed in a cramped prison cell for more than 600 days due to a crippling bone disease. Despite being almost completely immobilised, unable to eat and with failing eyesight, the authorities have insisted Brendan remains a threat to the public. Following a meeting with his partner, Roisin Lynch last Wednesday, the Six-County Minister for Justice David Ford again claimed there were no grounds for his release. Roisin said she had “no confidence” in the leader of the unionist Alliance Party as a ‘justice minister’, adding that he should either step down or be removed from the post. She said she had seen no trace of compassion or justice. “It was a very depressing and sad meeting,” she said. “David Ford gave me the run-around again, placing the onus on the Life Review Commission and claiming he can do nothing about the case. “We appealed to him to make the correct decision from a humanitarian point of view, but our pleas feel on deaf and indifferent ears. During a subsequent visit to the jail on Friday, prison officials, including the deputy governor clashed verbally, with Roisin. “I was insulted, called a petulant child repeatedly by the [senior officer],” she said later. “I asked the Governor on four occasions could I please leave the locked room. He said, ‘No, you will leave when i believe that you have taken this seriously’. “I then said, this is eating into my normal one hour visit. He said, ‘I don’t care about your visit’. “I said that my partner is dying and I have understood what you have said. I then stood up to leave and asked again the the door be unlocked and that was when the [senior officer] said that I was ‘a petulant child’. She said the door was eventually unlocked and she left the room, with the Governor continuing to shout after her onto the landing. The doctor who examined Brendan last week said he believed he will die in jail if not given the “specialist medical attention” he requires. Dr Sean O Domhnaill, of the Irish United Nations Association, said that given Mr Lillis’s condition the suggestion he poses a risk to society is “ridiculous”. “Immediate treatment in a tertiary care centre is essential to stabilise and improve this man’s condition,” Dr O Domhnaill said. 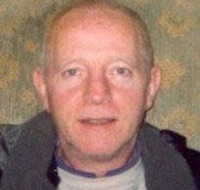 A former IRA prisoner, Brendan was returned to prison in 2009. Suffering from a severe disease of the skeletal system, he weighs just five-and-a-half stone and his spine is fused. Sinn Fein’s Martin McGuinness, who is Deputy First Minister of the Six Counties, said he had raised the case with the Dublin government. Speaking today [Monday], Mr McGuinness said: it was “abundantly clear” that Brendan is seriously ill “and should be released immediately to secure the necessary medical care that is required. “I also made it clear to the Irish government that the use of prisoner licencing and the revoking of licences on occasion by the British Secretary of State amounts to internment without trial. “It is this mechanism that sees the further detention of Brendan Lillis and is undoubtedly a complicating factor in this case. Unionists have blasted what they described as “political pressure” on behalf of a “convicted terrorist”. However, members of the moderate nationalist SDLP reiterated their call for Ford to make “the right decision”. “Brendan Lillis is not a threat to society and should be allowed home. He cannot be allowed to die in jail,” they said. The leader of eirigi, Breandan Mac Cionnaith, condemned the government’s indifference to Brendan’s plight. Mr MacCionnaith said Mr Lillis had already suffered enough at the hands of the British state. “Over the last few months, David Ford has proven beyond doubt that any commitment he claims towards human rights is a sham and a lie. “Like many who went before him charged with implementing British injustice in Ireland, he is capable of acting only callously and ruthlessly. “Every week that passes produces further evidence that the institutions at Stormont are incapable of delivering equality and human rights for nationalists and republicans. The case of Brendan Lillis is but the latest example. The Workers Party and Socialist Party and a range of international organisations have also called for his immediate release.